This year's Johanna Dürmüller-Bol DBMR Research Award from the University of Bern goes to Dr. Stephanie Ganal-Vonarburg. She is being awarded for her research project on the positive influence of maternal intestinal microbes on the child's immune system. Stephanie Ganal-Vonarburg explains what fascinates her about the development of our immune system in an interview with "uniaktuell". Ms. Ganal-Vonarburg, what is your research about? All mammals, including humans, are colonized by billions of microbes, which mainly live in our intestines. They can also be found in the respiratory tract, on the skin and in the urogenital tract. In the Gastroenterology research group in the DBMR (Department for BioMedical Research at the University of Bern) we investigate the interaction of these benign intestinal microbes with the host organism. Among other things, we are interested in the positive influence that the intestinal flora has on our immune system. In my work, I concentrate mainly on the role of the maternal intestinal flora in the development of the child's immune system in the womb and immediately after birth. What fascinates you about the development of the child's immune system? Today we know that it is mainly the influences early in life, such as the birth method, our diet, infectious diseases and domestic hygiene, that shape our immune system and change our risk of developing autoimmune diseases or allergies later in life. These findings are often summarized in the so-called hygiene hypothesis: While we have seen a decrease in infectious diseases in the Western world in recent decades, allergies and autoimmune diseases are on the rise. This is associated with increased hygiene in industrialized countries, for example through industrially processed food, antibiotics and urbanization. This cannot be observed in developing countries. I find this hypothesis very interesting and I consider it to be very important to understand this phenomenon and to counteract it. You were able to show for the first time that our immune system is "prepared" before birth. How does it work? We were able to prove that molecules of the maternal intestinal bacteria already strengthen the immune system in the child's intestine during pregnancy, so it can cope better with the colonizing intestinal flora after birth. We now know that these bacterial products are transmitted to the offspring both via the placenta and after birth via breast milk. It is also impressive that more than 1,000 different genes in the offspring’s small intestine are "switched on" by signals from the maternal microbiota. You work with germ-free mice from the Clean Mouse Facility of the DBMR. Why are these necessary for your research? Our goal is to one day find bacterial molecules that can specifically improve our immune system or our microbiota composition. In order to investigate exact mechanisms of action of these kinds of substances, it is of great importance to understand the interaction between the microbes in the intestine and the host organism. Since the human microbiota is too complex and there are no "germ-free" humans, we have to fall back on the mouse model. Germ-free mice allow us to colonize the intestines with single or multiple bacteria and study their effect on the host's immune system. DBMR's Clean Mouse Facility is one of the world leading facilities for research in the field of microbiota-host interactions. This and the Gastroenterology Research Laboratory, which I run with Andrew Macpherson, is the ideal place for me to work and develop further in this field. To what extent can your findings serve to strengthen newborns’ immune system? I would like to find substances from bacteria that are normally present in breast milk and strengthen the neonatal immune system. These could be used, for example, for newborns who cannot be breastfed for various reasons. Or in third world countries, where the hygienic situation is poor. Every year, still more than 5 million children under the age of 5 die as a result of infections. You have received various awards for your research, including a Pfizer Research Award. What does the Johanna Dürmüller Bol DBMR Research Award 2018 mean for you personally? It is a great honor to be awarded the Johanna Dürmüller Bol Research Award. The associated prize money will allow me to conduct my first important experiments as an independent group leader. The results will be the basis for further research proposals, which I need for my research projects. This kind of establishment phase is of great importance for young researchers and not always easy. You're actually a scientist by nature. How did you get into medicine? I am in fact a scientist, but I have always been very interested in medicine. I already experienced many aspects of medicine at home during my childhood. My father and grandfather are, and were, doctors. That is why I decided to study Molecular Medicine in Freiburg (D), which combines scientific and medical subjects. For me it was always clear that I wanted to advance medical knowledge with my research. The great thing about research is that no two days are the same. We are constantly faced with new challenges and questions. I also love presenting my work at international conferences and talking about it with researchers from similar fields. I would, of course, like to make progress in the field of research concerning the interaction between microbiota and the infant immune system. Professionally, I am aiming for an assistant professorship that will give me the opportunity to lead my own research group and to motivate young students for this great field of research. Our internal and external body surfaces, such as the skin, respiratory tract and intestines, are colonized by a variety of microbes known as microbiota. These microbes are of great importance for the human body; they not only help us to digest food and to produce vitamins, but also mature our immune system so that we can defend ourselves better against pathogens. The unborn fetus in the womb is considered to be completely germ-free, since the colonization of the body with microbiota only takes place during and especially after birth. For a long time it was assumed that the positive influence of these benign microbes on the host organism does not begin until after birth. In her work, Stephanie Ganal-Vonarburg and her colleagues have been able to show that bacterial metabolites are transferred from the maternal microbiota to the child even earlier, in a process that takes place through the placenta during pregnancy, and through the maternal milk after birth, thus contributing to the maturation of the immune system. Changes in the child's immune response can be observed;for example, the colonization of the intetsine by good bacteria after birth is accepted more easily. This kind of influence on the child's immune system was long-lasting and could still partly be detected in adulthood. Since 1996 the Department for BioMedical Research (DBMR) has held a "Day of BioMedical Research". This year’s event took place on Wednesday, November 7. The DBMR provides the best possible conditions to the researchers of the Inselspital and of the Faculty of Medicine of the University of Bern. The annual “Day of BioMedical Research” has established itself as a forum for researchers to present their work in a poster session and to get insights into the research projects of their colleagues. 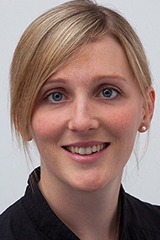 Nathalie Matter is an editor at Media Relations in the Communication and Marketing Office of the University of Bern.